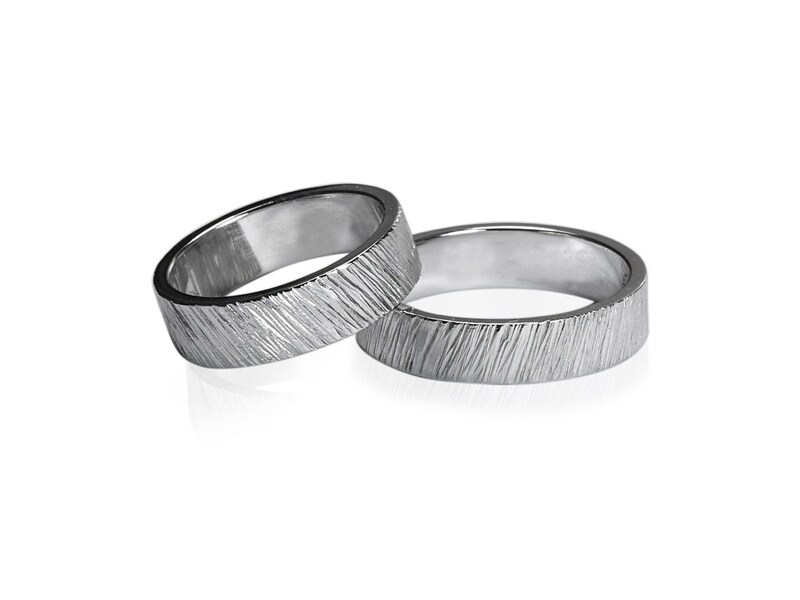 Hand carved Unisex wedding band ring, textured diagonal striped lines in a rough raw look made of high grade Stainless Steel. Comfort fit will easily slide in your finger. Water resistant, tarnish free. The wall thickness is approx 1.5mm, Comfort Fit Design.